Powerfully built, easily affordable, and designed in no-frills modern style, EZ Shelf lives up to its name, bringing customizable storage well within reach of just about anyone. Clutter and disorganization are familiar foes to most, but a new shelving system promises to tame the turmoil once and for all. 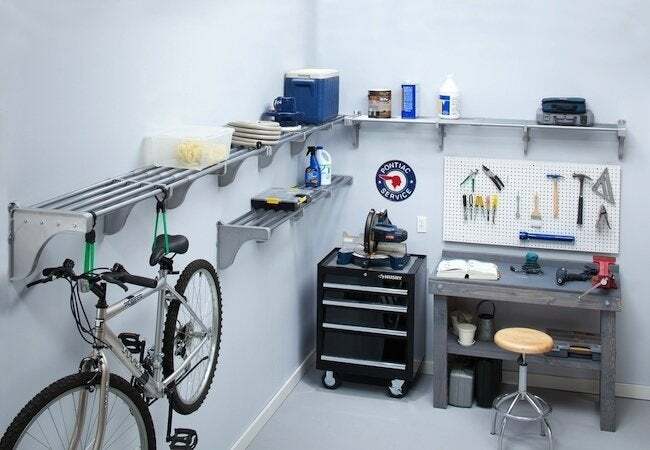 Whether your problem area lies in the garage, bedroom closet, the home office or elsewhere, EZ Shelf expandable products provide a versatile solution for a fraction of what custom shelving costs. With EZ Shelf, just about anyone, even novice do-it-yourselfers, can incorporate truly useful, durable, and stylish storage into their homes, quickly and easily. EZ Shelf products also give you the power to customize your own solution, as each unit allows for multiple handy configurations. Simply choose whichever one corresponds best to your needs. 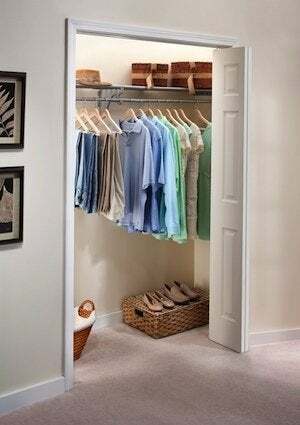 And when you combine units, the possibilities are nearly limitless, allowing you to custom-tailor a storage system that fits perfectly, even in a laundry room, pantry with awkward dimensions, or in a mudroom where nothing else has seemed to work in the past. Further, you can always be safe in the assumption that your EZShelf installation isn’t going to fail unexpectedly. Powerfully built from tubular steel, the product provides significantly more strength than conventional wire shelving. Whereas conventional wire shelves hold 60 or 80 pounds, EZ Shelf can handle more than twice that weight, having been rated to securely support at least 200 pounds. “EZ Shelf expandable products are the first economical alternatives to wire shelving that’s come out in the past 50 years,” explains Jablow. “So many people don’t like wire shelves—they look cheap and are hard to clean. So we asked an Italian design studio to help design EZ Shelf so that it is aesthetically pleasing, with a nice modern look.” Offered in white and silver, two classic colors that never go out of style, EZ Shelf looks good no matter what your decorating scheme. And though European-designed, over 75% of the product components are made in the U.S.A. and backed by a lifetime guarantee—a definite plus for those seeking maximum value. 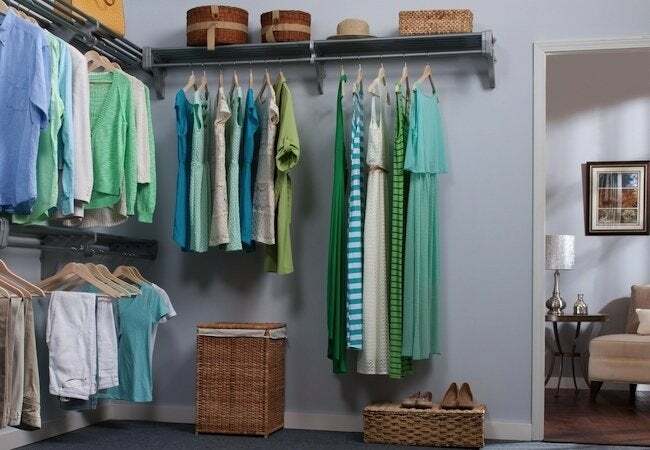 EZ Shelf offers a selection of helpful closet organizing hints on its website, where we found a special closet makeover video that perfectly demonstrates why EZ Shelf is gaining popularity. Watch it now!